Who did you Run for? Sunday October 6th, 2013. Toronto, Ontario. 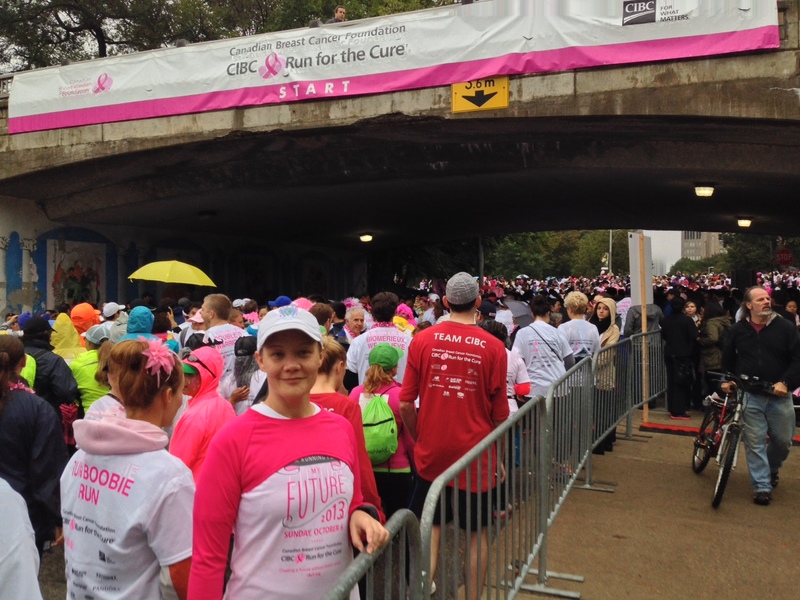 Thousands of people made their way to downtown Toronto today to take part in one of the many Run For The Cure events being held across Canada. It was a rainy day in our parts but nothing was going to stop the courageous runners and walkers of this annual event. Here I am making my way into the start corral. Aside from the many Disney events I’ve run, this by far was one of the more crowded events I’ve been too. (or so it seemed). And for good reason, of course. Way to go participants! And thanks to all the volunteers and spectators. Could not have done it without your support!